Do you like sports and working out? Do you travel often? Do you like to explore new places? Do you enjoy meeting interesting people with the same interests? 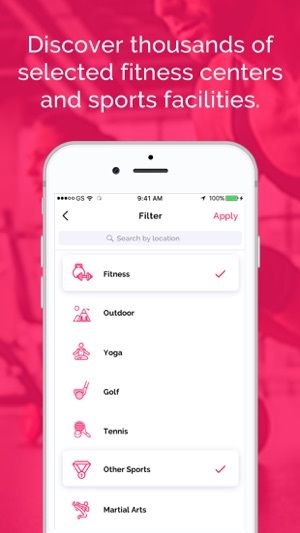 BEFIT4US app is exactly what you are looking for. Find the nearest and best rated gym, and work out using Free Entry Voucher with just a few clicks!